Not sure how to do your makeup for Valentine’s Day? 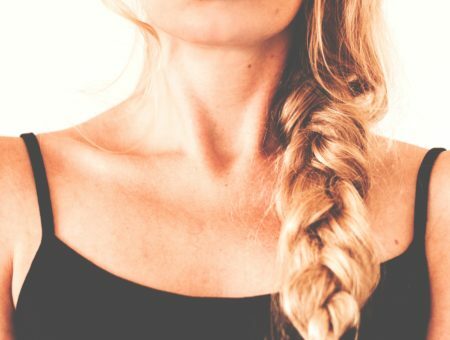 We have Valentine’s Day makeup ideas for dates and girls night out. Although Valentines Day is a few weeks away, I know girls like to prepare for events like these way in advance. However, every girl is going to have a different Valentines Day experience so I thought it would be a fun idea to make makeup suggestions based on two types of girls: The Romantic Date and The Heartbreaker. 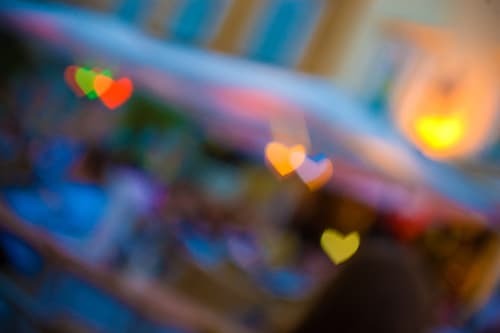 Valentine’s Day shouldn’t only be celebrated by those who have that special someone – it is Single’s Awareness Day after all and that doesn’t necessarily have to carry a negative connotation! Here are two makeup looks depending on how you’ll be celebrating February 14th, including key products I think every girl should include in their Valentine’s Day makeup arsenal. Enjoy! So maybe you’re one of the few lucky girls who has a cute guy taking you out to a special dinner on V-Day. Whether it’s your long-time boyfriend or someone new, you obviously want to look gorgeous. For this occasion, I think it is best to keep your makeup soft and elegant. Revlon PhotoReady Foundation: This is my absolute favorite foundation. It’s perfect for a romantic date because it contains miniscule specks of shimmer, which will help you achieve that glowy look. I love it because it feels light on my skin yet gives great coverage. Plus if you’re on a last minute dash to buy makeup, you can grab this at your closest drugstore! 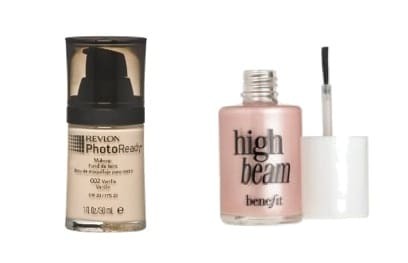 Benefit’s High Beam: This liquid highlighter will make you look absolutely stunning. Always place highlighter on the upper cheekbones, down your nose and right below the eyebrow. You want to highlight the points on your face that are highest. However, if you have oily skin like me, use it sparingly. I’d only put it on your cheekbones and eyebrows to avoid looking too oily. MAC’s Retrospeck: This gorgeous gold shimmery eye shadow definitely has that romantic tone. I would apply this eye shadow all over the lid as the base color for the look. L’Oreal Hip Duo in Sassy: Put the shimmery brown eye shadow on the outer-V of your eyelid to help the dark brown eye shadow look softer and less harsh. NYX’s Dark Brown: Using a dark matte color on the outer-V of your eyelid will help give your eye more dimension. You don’t want all shimmer or all matte; it’s best to blend the two together. 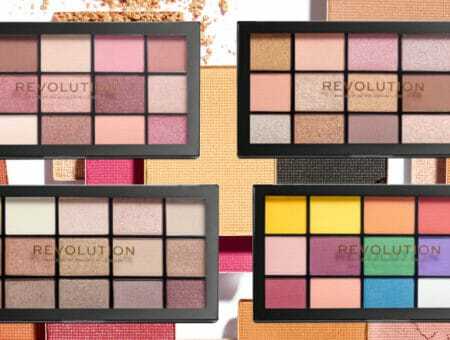 Although this brand is a drugstore brand, I find that many of their shadows have department store quality pigmentation. 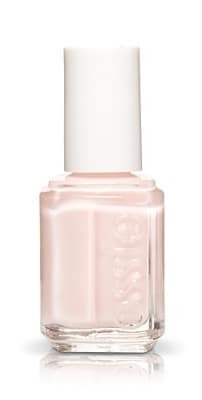 Essie Nail Polish in Ballet Slippers: Try to avoid dark nail polishes when going out on a romantic date. Clean, simple nails are always attractive. This nail polish epitomizes elegance and happens to be one of the brand’s most famous polishes. Valentine’s Day isn’t only about romance; it can be fun and flirty as well! This look is for the girls who don’t mind breaking a couple hearts along the way. With a bit of sass and attitude, you can have boys falling after your footsteps. Even when you don’t have that special someone, you should still look fabulous on V-Day anyway. Ideally, you want to look seductive without looking too overdone. I recommend all the same face products as above but with a few tweaks to the eye products. MAC’s Satin Taupe: Instead of Retrospeck, gently apply Satin Taupe all over the lid. Use NYX’s Dark Brown in replace of L’Oreal Hip Duo in Sassy as your Outer-V blending shadow. NYX’s Black: Instead of the dark brown, which creates a softer look, don’t fear going a little darker if you’re not out on a date. This will give you more of a smoky, seductive look. Maybelline’s XXL Pro Volume: Dramatic lashes are the key to a flirty look. The primer in this mascara preps your lashes by adding an extra volume boost then the mascara end finishes it off. The entire line of XXL mascaras are great for any night out whether you want your eyelashes to look longer, plumper, or more curled. 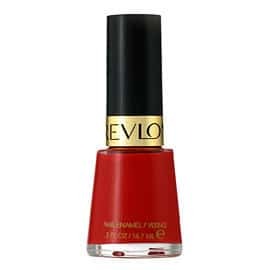 Revlon Nail Polish in Revlon Red: Red nails add an instant hint of seduction and sexiness to your look. This nail polish is the perfect siren red without looking too vampy. Say hello to bombshell nails! Are you going to be the Romantic Date or Heartbreaker this year? I have to confess that I am one of those girls who lacks that special someone to share my Valentine’s Day this year. However, I am not going to allow that to prevent me from having fun and neither should you! What are you going to do on Valentine’s Day? Are you going to do a special look to try to attract that cute boy in your writing class? Let me know! I’d love to hear what you guys are all doing!